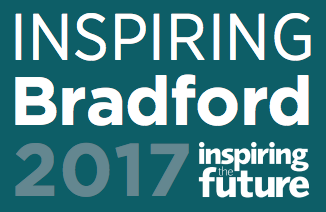 Inspiring Bradford is an exciting new initiative to raise and broaden the aspirations of young people in Bradford and provide them with a better understanding of the job opportunities and career routes open to them. Primary and Secondary schools across Bradford are asking people from the world of work to visit and chat informally to young people. It is a collaborative effort involving teachers, local organisations, community groups, volunteers and employers in the area. Together, we are hoping to inspire the young people of Bradford and create a real buzz in the city! Can you spare an hour to speak with young people? We are looking for people who are willing to give up an hour and chat informally with young people about their job and career route – people from all levels, apprentices to CEOs and from a wide range of jobs. There is no need to prepare a talk, you just need to be willing to answer the children’s questions about your career route. Events will be running from 13 - 19 October 2017 across Bradford; please take a look at the Schedule of Events for further information.